Meaningful innovation is created when designers achieve real empathy with end users, discovering the dips in their experience. 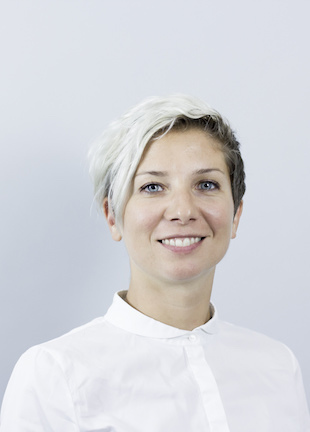 In this lecture, Clara, co-founder and creative director of Special Projects, will share learnings and tools from projects where empathy has been key in her quest to find the perfect balance of analogue and digital: designing the only smartphone manual to be exhibited in the Museum of Modern Art; creating a tongue in cheek flat pack furniture manual designed to build joy; and an installation for the Design Museum which challenges preconceptions about ageing. Clara is an intrepid designer, inventor and creative director committed to enriching the lives of people through hopeful product innovation. Whether this means helping the elderly to engage with technology, reimagining the playground, or devising systems that help us focus on the present, Clara’s concepts bring empathy, optimism and clarity to where society needs it. The daughter of a mechanical engineer and a fashion boutique owner, she studied industrial design in Italy before setting up her own fashion label in Berlin, only to get back into design engineering a few years later, this time in London. Consequently, her design method is deﬁned by an unparalleled ability to integrate seemingly disparate realms and elements: art and engineering, purpose and aestheticism, the physical and the digital. When she’s not the colourful and multifaceted co-founder and creative director of Special Projects, Clara is a spirited design-thinking speaker and visiting senior lecturer at the Royal College of Art and at Queen Mary University of London and a faculty member of Oxford University Said Business School OSLP.